Echo has picked up the Outstanding Achievement award in the first London MedTech Healthcare Business Awards. Rajesh Agrawal, Deputy Mayor of London for Business, presented the award to CXO and co-founder Stephen Bourke at City Hall. Set up by the Mayor of London, SEHTA (South East Health Technologies Alliance) and MedCity, the awards are dedicated to bringing together the best of London’s innovative MedTech community. Echo is a free app, enabling patients to order NHS prescriptions and get medication delivered to their door. Almost half of all adults take a repeat prescription, but 40% of medication isn’t taken as directed, costing the NHS billions every year. In addition, NHS England estimates that a third of emergency calls are related to medicine supply, as are a fifth of GP appointments. Echo’s aim is to remove the barriers to medication adherence by putting patients in control, allowing users to order their prescriptions through the app rather than taking up time at GP surgeries or at A&E unnecessarily. 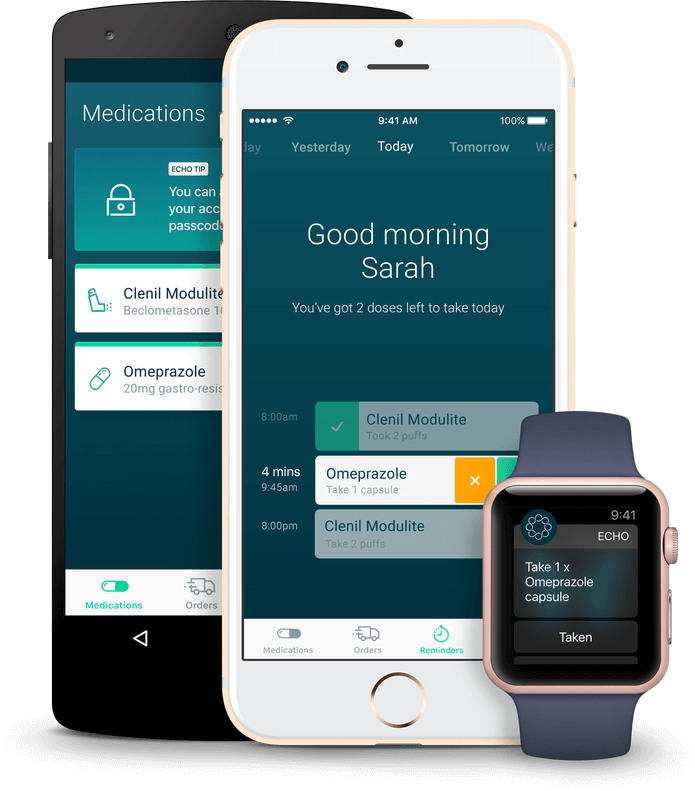 To further aid medication adherence the app also sends reminders to patients both for when to take the medication and when it is about to run out. Stephen Bourke said: “We are nothing less than thrilled that Echo has been recognised for the difference it brings to both patients and the NHS as a whole. It validates the importance of what we are doing: building technology to help people manage their prescriptions and medication.